In 1898, America embarked on its imperial project as it engaged a struggling colonial Spain in Cuba and the Philippines. As one government official opined, “It was a splendid little war.” Of course, the brutal war waged by the U.S. in the Philippines and the occupation of the archipelago by U.S. forces required some justification, as did nearly all other foreign policy adventures of the twentieth century. The tragedy of World War II only magnified America’s international presence. If a world power in 1898, by the 1950s America stood as one of two superpowers. People commonly think of foreign policy resting on the strength of military exploits, yet few would deny the importance of diplomacy in expanding U.S. interests. Though Chairman Mao’s adage that power flows from the barrel of gun retains significant salience, so too does the saying that “one catches more bees with honey than vinegar.” Frequently, observers imbue a nation’s military prowess with a masculine orientation. Under this rubric some have suggested that the more nuanced approaches of diplomats provide the other leg upon which foreign policy rests. However, the protection of a nation’s perceived interests depends on more than the strength of military or the silver tongues of elites. In the Cold War epoch, U.S. diplomacy featured a gendered notion of expansion that utilized American women and children in the justification of American occupation. 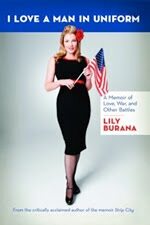 More to the point, in Unofficial Ambassadors: American Military Families Overseas and the Cold War, 1946-1965, Alvah addresses both the gendering of aspects of foreign policy while also emphasizing the role of women and children in advancing U.S. interests. Alvah focuses on the role that military domesticities played in spreading American ideals and ideology. Earlier writers such as Charlotte Wolf (Garrison Community: A Study of an Overseas Military Colony, 1969), Maria Höhn (G.I.’s and Frauleins: The German American Encounter in 1950s West Germany), Petra Goedde (G.I.’s and Germans: Culture, Gender, and Foreign Relations, 1945 – 1949), and American military wife Martha Gravois provide the foundation upon which Alvah builds. Hohn and Goedde, who explored informal social relations between American service personnel and Germans, notably women and children, relate most directly to Alvah’s research. In Cold War military families, Alvah sees a force for securing American interests. Both military officials and many families envisioned an ambassadorial role for wives and dependents. Alvah notes, “Military family members – wives, children, and servicemen as husbands and fathers – were expected to contribute to the ideological rivalry with communism by representing what Americans considered the best aspects of their way of life.” (Alvah, 7) Moreover, the need for a standing army and the demand for familial accompaniment coincided with the belief in the nuclear family as a source of stability, order, and opposition to communist influence. Referencing Elaine Tyler May’s Homeward Bound, Alvah suggests the nuclear family now served as bulwark against Soviet advance. Unlike Wolf, a sociologist who examined military communities in Turkey, Alvah’s attention rests squarely on the experience of military families in Okinawa and West Germany. Though the relations between service personnel, their families, and the local communities differed between Asia and Europe, both sites experienced serious housing shortages. While some enjoyed larger accommodations than they had known stateside, the housing many families did secure lacked the amenities of the suburban image promoted by American culture at the time. For example into the late 1940s, families in Okinawa “resided in poorly constructed and unattractive housing,” Alvah notes. Of course, even these wives and dependents lived in housing better than their counterparts in occupied nations. The problematic reality of shoddy housing for some families contrasted greatly with plans for American communities that featured commissaries, recreational areas, barber shops, soda fountains and so on. Securing the benefits of a burgeoning American consumer culture, “they [military planners] ordered refrigerators, toasters, and baby food to help American families recreate home life in a foreign countries.”(30) Yet, the presence of such household commodities was not only meant to bring comfort; rather, the ability of military families to enjoy such goods provided occupied nations with another example of American superiority. 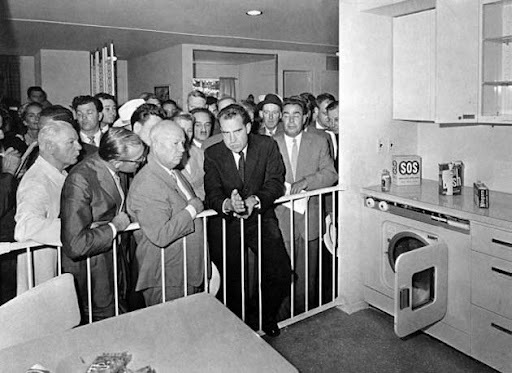 The ideology of consumerism seemed omnipresent in the Cold War era as Nixon chastised Russian leaders for not allowing their people to enjoy the fruits of the capitalist system such as dish washing machines and the like. Agency is tricky business. Alvah’s military families, notably wives and dependents, operate as knowing conduits of American culture and ideals. While empowering wives and dependents with the task of American foreign policy, this agency existed in a web of complexities. First, Americans viewed their gender relations as far more egalitarian than those of the nations they occupied. Alvah suggests that criticisms of American women as “domineering” grew out of “misogynistic ideas that mothers and wives pathologically wielded their power in familial relations.” (Alvah, 119) In reality when compared with their husbands, wives possessed fewer legal rights and diminished economic strength. Moreover, some women felt the military continually sided with servicemen in familial disputes, ostensibly insulating men from their family responsibilities. Even when living abroad, the demands of service required wives to function independently, as Alvah comments, “women often ran households and raised children without help from their husbands.” (Alvah, 119) The American military has long depended on the unpaid labor of women and wives and abroad, Cold War military wives endured increased responsibilities. In addition to running a household independently, they were now to be exemplars of American consumerism and domesticity. While maintaining a world view that at the time might be described as progressive, this nonetheless upheld American visions of superiority. And it all unfolded under the spell of occupation. Moreover, American ideals remained the guiding and assumed superior light. In places like West Germany, military wives formed over 300 women’s clubs aimed at “social and welfare efforts.” A typical club might provide food, clothing, Christmas gifts to orphans, towns, refugees, holocaust survivors, and others in need. Such efforts rested on the continued gendered notion of women and domesticity. In terms of ideology, the charitable acts by these clubs countered Soviet propaganda that suggested American capitalism wallowed in inequality and exploitation. By the 1950s, the activities of women’s groups developed sharper anti-communist goals. As Alvah notes, “Americans intended to aid Germans not only materially, but also ideologically.” (Alvah, 145) Once again, as Mary Ryan and others have pointed out, the political and social power of women in the public sphere stems from the gendered separation of spheres. The domesticity of American women justified not only a role in promoting American ideals through soft power, but also legitimized American occupation. Alvah’s example connects to Amy Kaplan’s (The Anarchy of Empire in the Making of U.S. Culture) work on the expansion of American imperialism in the late nineteenth and early twentieth centuries. For women, as numerous historians have noted, imperial adventure provided a space for their civilizing influence. According to Kaplan, domesticity as promoted through imperial adventure, “extended not only to racially foreign subjects inside and outside the home, but also to the interiority of female subjectivity …” (Kaplan, 43). By extending the “female sphere” (the domesticated home), it no longer remained a bounded or rigidly ordered interior space. Domesticity’s double meaning as an interior home space and a domesticating of the wild fit neatly into imperial ambitions. If men’s actions drove imperialism, women’s innate moralism legitimized its results. Kaplan summarizes this development “Not a retreat from the masculine sphere of empire building, domesticity both reenacts and conceals its origin in the violent appropriation of foreign land.” (Kaplan, 50) More broadly, American officials justified imperial ambitions as a means to protect U.S. interests and “defend/save” a weaker nation from anarchy (i.e. restore order and impose “democratic govt” that one day might enable the colonized to rule themselves, “benevolent assimilation.”). Racialized discourse served as a central theme in the debates. However, this discourse remained unstable as “racialized analogies that empire deployed at home and abroad created dissonance as well as resonance, as they mutually defined and destabilized one another.” (Kaplan, 10) Alvah employs similar examples. According to Alvah, the friendship of U.S. families with West Germans and Okinawans signaled their worth as allies, “in depicting West Germans as worthy Cold War allies, Americans in military families helped advance the U.S. government’s cases for West Germany’s eventual sovereignty, membership in NATO, and rearmament “ (Alvah, 142) Simultaneously, the “promotion of equal partnership between West Germany and the United States” proved attractive to Germans who wanted to regain some of the dignity or respect lost by the war. Though the authors differ in periodization, intent, and focus, each reveals a continued use of a gendered “soft power” and women’s role in carrying this forth in the name of U.S. foreign policy interests. Again, connections to American imperial adventures come to mind. Alvah argues that Americans, even when trying to be egalitarian, often perpetuated ideas about Okinawans as a “childlike people”. America’s benevolent paternalism would bring the Okinawans to “maturity”. In this way, Alvah notes, even those Americans who intended to project humanitarianism and good will reinforced hierarchical relationships between Americans and Okinawans that characterized U.S. military control of the Ryukyu Islands. Sound familiar? Paul Kramer’s excellent The Blood of Government explores a remarkably similar ideological formation in the American occupied Philippines. Incorporating the middle and upper class elites referred to as illustrados (many of whom were educated abroad and bought into American imperialism in part because it brought them political and economic power within the archipelago), American imperialists justified occupation in very similar terms as did post war military leaders, families, and officials in post war Okinawa. Much of American policy and relations between Filipinos and American policy makers rested on what Kramer argues were the “politics of recognition,” in which Americans acknowledged the illustrado population and its “capabilities” as “little Brown Brothers” under the rubric of “Benevolent Assimilation” meaning that US officials would recognize illustrado power/significance of the moment while waiting to bestow on them formal independence when they illustrated the requisite characteristics. This familial form of inclusionary racism competed with evolutionary, and tutelage tropes all justifying US occupation. Controlling the post war Philippines meant engaging illustrados, convincing them “that they were “brothers” and not “serfs” and simultaneously explaining to them why they were unready for the rigors and responsibilities of self-government. US imperialists also needed to explain to racist anti-imperialists why the assimilation of Filipinos would be successful and posed no threat to the United States itself. 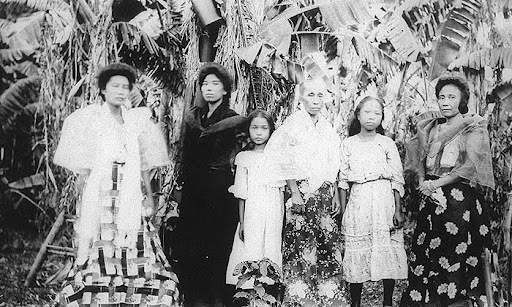 The result was an inclusionary racial formation that brought metaphors of family, evolution, and tutelary assimilation into a gradualist, indeed indefinite, trajectory of Filipino “progress toward self-government.” Throughout the long occupation, US policymakers constantly balanced the need to convince Filipinos of their intentions while convincing hostile elements domestically that its annexation/incorporation proved no threat. Moreover, US attempts to cloak empire as “informal” depended on the participation of Filipino elites such that “the politics of recognition was especially attractive to collaborating elites who could both follow its stipulations and employ them to accelerate or delay the counterimperial transfer of sovereignty in ways that bolstered their own power.” Collaboration both provided the cover and hierarchies for imperial control but also hid the permanence of occupation behind this tacit agreement between elites and US officials. Although post war political, economic, and social conditions differed from those of American-occupied Philippines, many of the arguments about maturity and paternalism continued to echo. Alvah ends her study in 1965 as the Vietnam War expanded and opposition to military families grew within the services. Some viewed them as an unneeded economic drag, while others felt the presence of wives and dependents reduced the combat readiness of soldiers. The consumerism American military families promoted abroad also rankled some military leaders, as a 1960’s Business Week article featured a photograph of “a row of women sitting under hair dryers at a post exchange beauty salon [which] evidenced the alarming message that … wives and families were draining the armed forces of its virility and taxpayers of their dollars.” (126) Vietnam proved a hard power war, less inclined to utilize the soft power of military families. Moreover, the cultural conflagrations of the 1960s left many dependents and wives less ideologically aligned with U.S. foreign policy. In the 1950s, many found anti-communism more convincing, but the controversy of Vietnam put such absolutes into question. Finally, many wives no longer wished to toil for no pay, thus sought paid jobs in the wider economy. Military families abroad continued but in smaller and smaller numbers. The military and government shifted its focus from families abroad to those residing domestically. 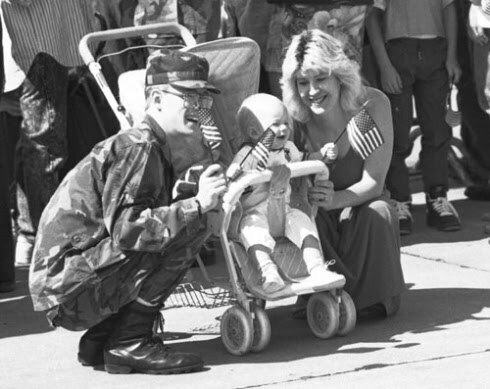 During the 1990s, military officials and others displayed a new attention to the problems of military families. Soon after, George W. Bush reduced the number of overseas families. The combination of the two developments stressed that life in the United States “was preferable to life abroad, in contrast to early Cold War era military wives arguments that living overseas enhanced their children’s upbringing” while improving relations between Americans and residents of other nations. The point here is not to disparage the United States for engaging in a political process that ultimately brought America political and economic leverage over many nations. When considering such issues, the reality of USSR brutality provides a useful counterweight, though admittedly, certainly, American adventures abroad sometimes mirrored Soviet actions (Iran 1953, Guatemala 1954, Chile 1973, and numerous episodes in Africa as Piero Gleijeses’ Conflicting Missions illustrates). Rather, stretching from the late nineteenth century to the Cold War era, the construction of U.S. paternalism along lines of feminine subjectivity clearly exists. Furthermore, military families and their communities were not the “golden ghettoes” that some have portrayed them as. Instead, wives and dependents served as nodes of American domesticity and consumerism, interacting with, influencing and some cases alienating local peoples. This agency gave them a clear role in anti-communism but also implicated them in the larger process of U.S. diplomacy which often lacked true equality. As noted previously, although agency remains a tricky concept, one person’s rights do not exist in a vacuum. The expression of these rights might grant them greater political, social or economic power but might deprive someone else of their own. Note: the author would like to thank ToM contributors Joel Suarez and Ben Coates for their comments and insights on foreign policy.